I can't even lie to you guys. I love puns, and the cornier they are, the more I will probably love them. 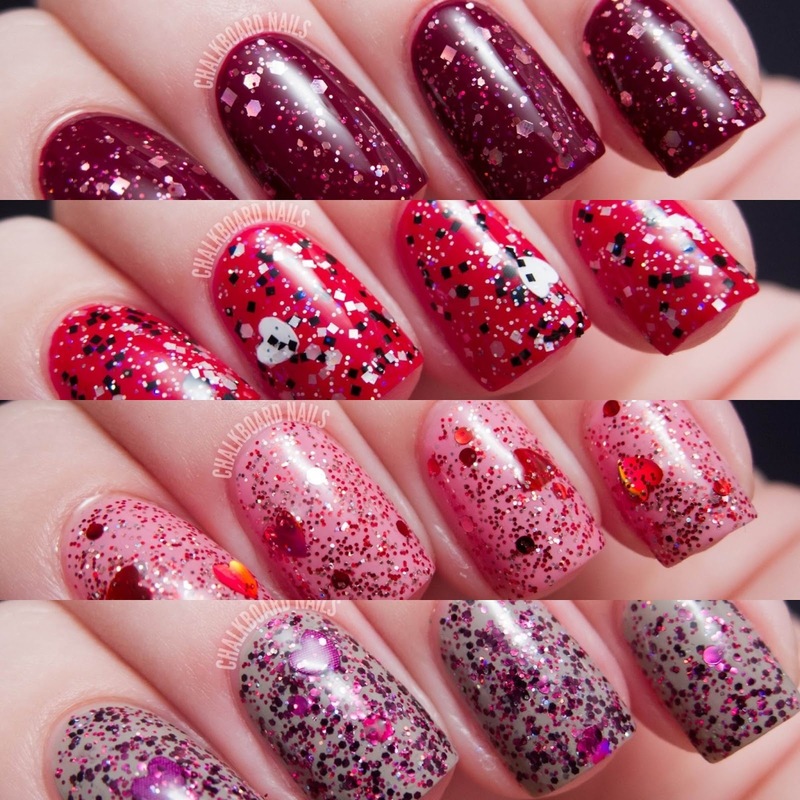 So I obviously love the names of the polishes in the Different Dimension "Love's a Punny Thing" Collection. I've got swatches for you, and be sure to read to the end of the post for a coupon code! Up first we have Love Her? I Don't Even Lacquer!. This black and white glitter topper has squares, hexes, microglitters, iridescent sparks, and black and white hearts. Unfortunately, I didn't get any black hearts in my swatch, but I'm confident you guys can imagine them in there! This baby is dense; I've shown one coat over American Apparel Downtown LA. Next we have one coat of A Love Hue shown over American Apparel Berry. This polish is much sparklier than it looks in my photo. All of the pale pink glitters are also holographic, so they twinkle and flash when you move your hands in the light. Aorta Miss You But I Don't is a fuchsia and purple heaven! Like "Love Her?... ", this polish is very dense. 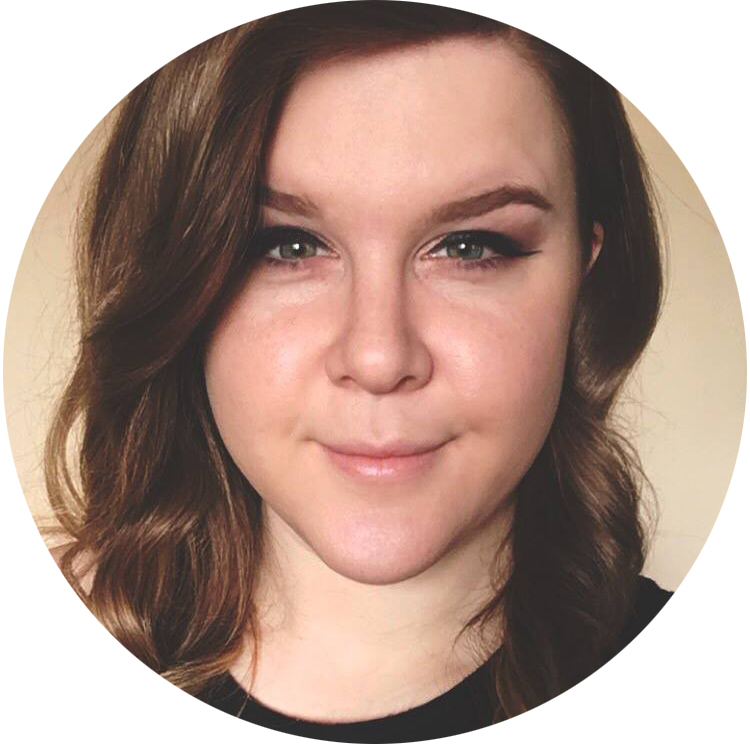 I've shown just one coat over L'Oreal Eiffel For You (also a great pun). Notable glitters in this mix include matte purple hearts, fuchsia circle glitter, and fuchsia holographic hexes. All Red-y In Love is also lots of fun. This red mix has tons of holographic red hearts, red circle glitter, and red & pink microglitter. I've layered one coat (plus a placed heart or two) over Nicole by OPI Naturally for the ultimate red-and-pink Valentine's look. I'm never disappointed with the Different Dimension formula, and these were no exception. They all applied wonderfully with very high glitter density. They aren't thick and they don't clump on the nail. They definitely get high marks! 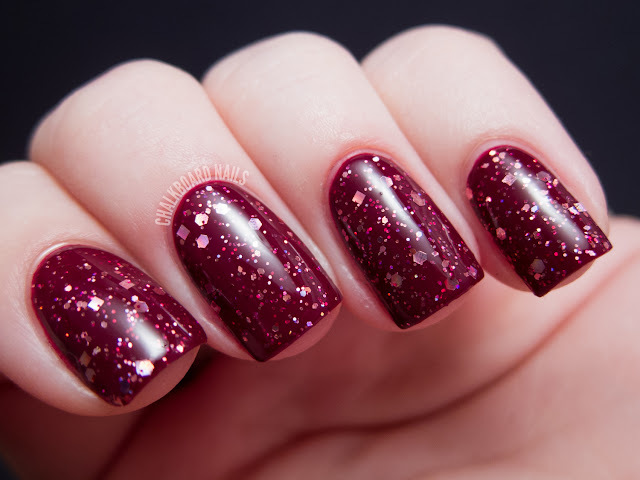 As with most polishes that include shaped glitter, the hearts may sink down to the bottom of the bottle a bit between uses. I'd suggest flipping your polish upside down 5-10 minutes before manicuring to get some of the hearts closer to the brush. Which ones are you loving the most? Different Dimension polishes are available on Etsy. You can also follow the brand on Facebook, Twitter, & Instagram. If you are making a purchase, be sure to enter the code "CBN20" at checkout to receive 20% off! Love this collection. Something about the black and white of Love Her? I Don't Even Lacquer I'm loving. I love all of these, but...no macro photos of the bottles? I've come to count on those! Sorry JP, I ran out of time last night and wanted to be sure I got this up before Valentine's Day! There are some great bottle shots and macros in the Different Dimension shop listings though, hopefully those will do! Ahh! Aorta Miss You But I Don't is gorgeous! ahh so pretty, I want them nail polishes, I have to stop buying them though lol. First image is damn nice. Those are so pretty!! I think the first two are my favourites--both the polishes and the names. I'm a mega pun-and-corny-joke fan too! This may not be exactly in the same category, but it's my current dumb-joke-I'm-telling-everyone: Why did the hipster burn his tongue? ... He drank his coffee before it was cool! ha. Usually i dont like glitters but i LOVE yours! My faves are Aorta Miss You But I Don't and A Love Hue. Cutest names.